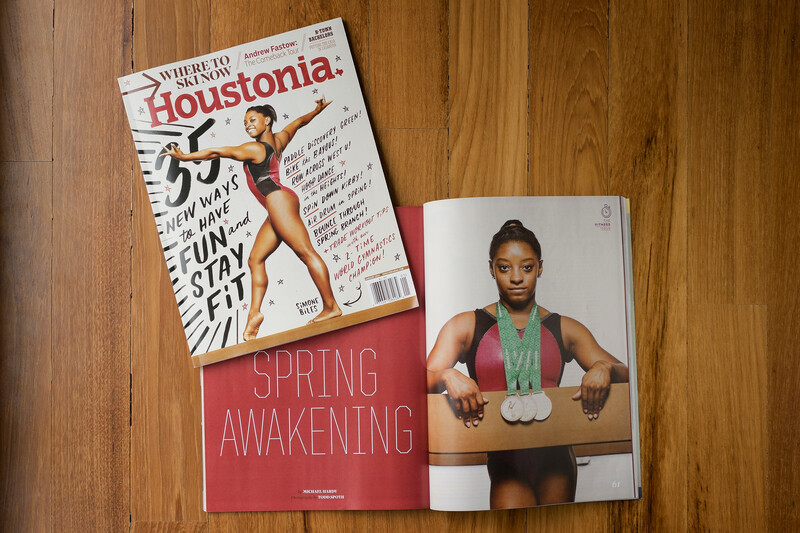 Back in October/November I had the pleasure of photographing world champion gymnast, Simone Biles, for a cover feature in what is this month’s (January 2015) issue of Houstonia Magazine. 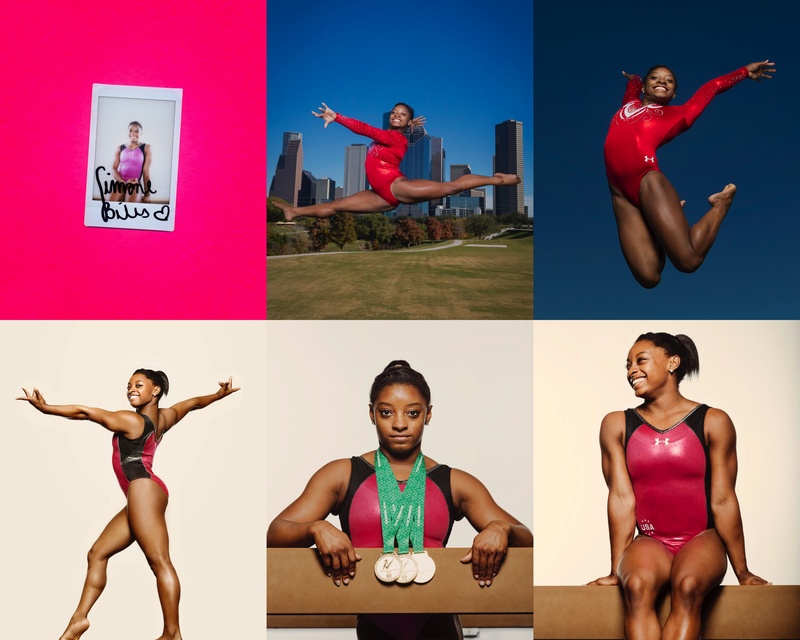 Simone is only 17, but she is already a proven gymnast, winning tons of medals in her short career. Google her name and read some of what comes up if you don’t believe me. You will be seeing her on the Olympic podium in no time. For the first shoot, we were working within a pretty tight schedule with Simone. 15 minutes max. The small gym we were working in was packed with mats and messy backgrounds. I opted to use the white walls as a background and one of the beams for her to focus her movements on. We were able to knock out several different looks just around this setup. With athletes their bodies are so fragile and their daily routines can be very specific so you might go into the shoot with your head exploding with ideas of how this athlete is going to do 100 bicycle kicks for your shoot, but you never really know until that exact moment. Luckily this was one of Simone’s first real photo shoots, so she was game for moving for the camera and was a trooper the entire time we had with her. I also ended up being able to grab a few natural looks in the few minutes we had left after the first look. I was also able to snag a quick Fuji Instax polaroids of her that I quickly had her autograph for a completely different feel. Ultimately we ended up not using the polaroids, but I loved how they turned out as well. Its all about nailing a variety of different looks within a small amount of time. 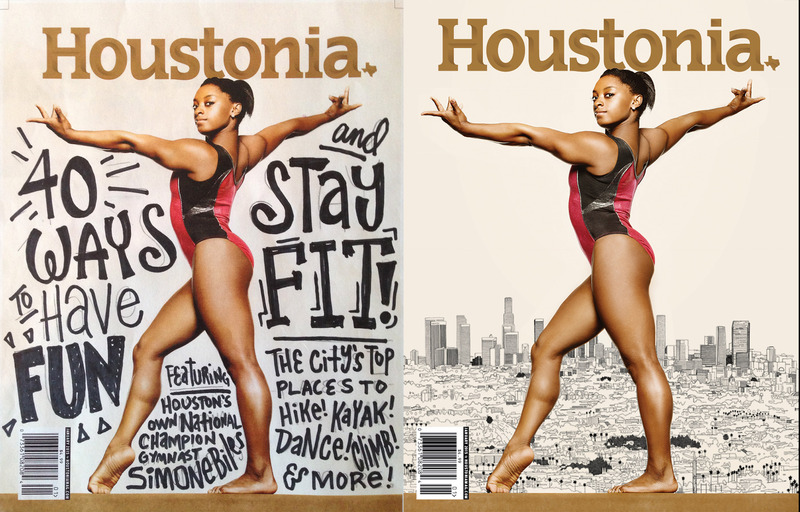 We were also able to photograph Simone a second time, using the skyline of Houston as the background. One of these was used for the TOC page in the magazine. 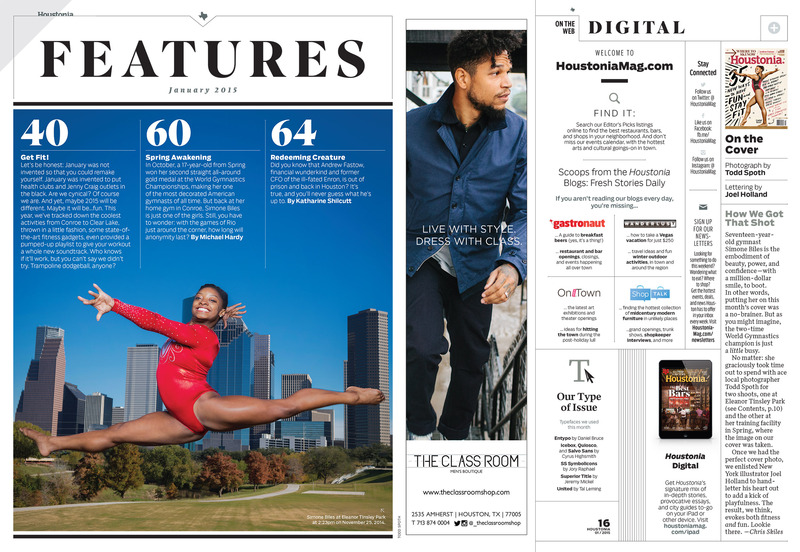 After some great retouching work by the always amazing, Pratik Naik, and some great design and layout by Chris Skiles and the rest of the team at Houstonia, the issue is out and looks great. I definitely am not of the mindset that my photographs should not be touched. It seems like over the years I have run across a lot of older colleagues that are so quick to scream at any design element or type running on top of their image, however in my opinion if its tasteful and doesn’t destroy the integrity of the image then I’m all for it. I guess I am just thankful to be able to work with amazing designers. I was so stoked when I saw the final product of this cover especially after the hand lettering touch by Joel Holland. SPD’s Cover of the Day! 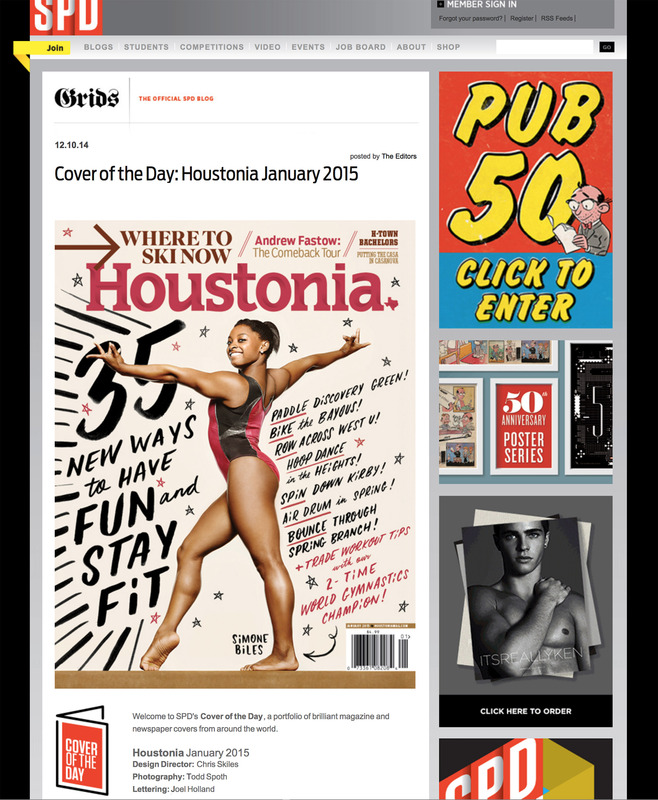 Before the magazine hit shelves here in Houston, it was already garnering some attention via SPD (Society of Publication Designers) as their cover of the day on December 10th.